I remember a day when a new RTS wasn’t a novel occurrence. Good times those were, and after Supreme Commander and the first Dawn of War came out I was sure there was a great deal more development in store for the genre. And oh how wrong I was. 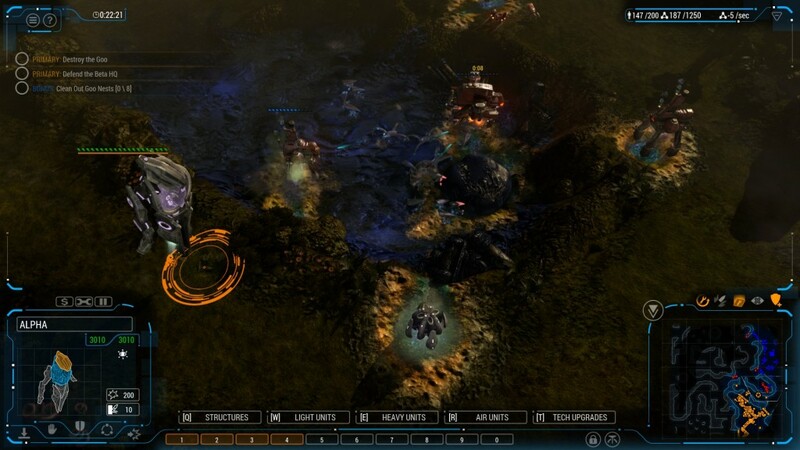 While there are certainly still RTS’ coming out, new IP’s are few and far between. The last few years have been particularly tough on me, as Dawn of War 3 is nowhere to be seen yet, Planetary Annihilation came up a bit short and I finally parted ways with Starcraft 2 after several years of fervent play. Thus when Grey Goo hit the scene I was quite excited. While I was not a huge Command and Conquer fan in the old days I still played the games a fair amount and was excited to hear of former devs’ involvement in a new IP. Now that it’s out, I find myself satisfied with the functionality and look of the game, but with little motivation to continue playing it after not so many hours with it. 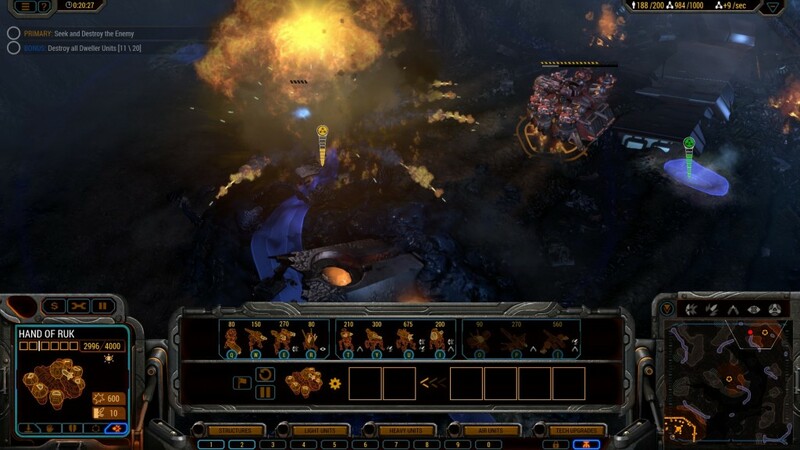 In Grey Goo you play as the Beta (the South Africans of space), humans or as the eponymous goo, harvesting a resource known as catalyst in order to construct units and destroy your enemies. There’s a plot, and it’s TOTALLY not the plot of Starcraft or any other sci-fi story involving an endlessly expanding ravenous alien force, but I can’t say it was particularly impressive. It’s functional, the voice acting is good, and the cinematics are probably the most fluid, life-like representations of living creatures I’ve seen in a game, to the extent that at times I wondered if it wasn’t at least partially physical actors with prosthetics. But like many an RTS, both good and bad, the narrative feels constantly disconnected from the action, and the sense of time and narrative progression is disharmonious with the level structure. 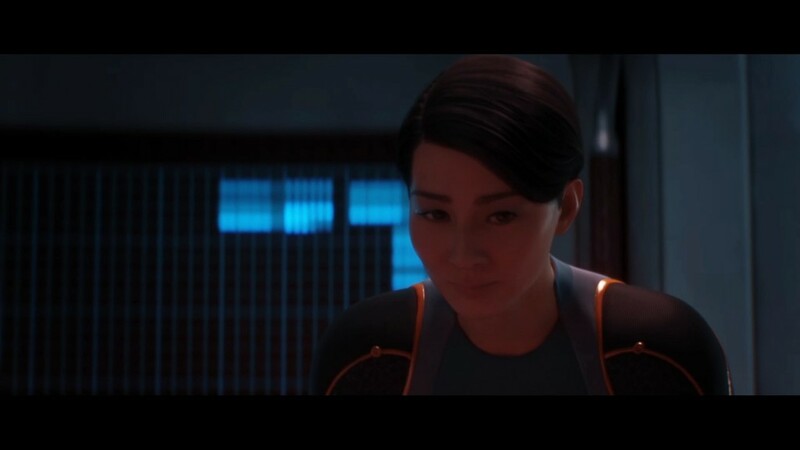 This is not a unique problem for Grey Goo, but it was yet another thing causing me to not care about the characters. Over the course of the campaign you’ll play each of the three races, which differ mainly in how they build and expand bases but who are very nearly indiscernible when it comes to unit functionality. The alien species, the Beta, revolve around building hubs of varying size onto which unit producing structures and research are attached, thus allowing them to very easily build satellite bases. The humans have a harder time with this, as their structures must be connected to a power grid which the player extends out from a central building, limiting their building range. In return, however, their defensive building options are much more robust, allowing them to make the most out of a single base. The most interesting of the races is certainly the goo. The goo starts with one ‘mother goo’ which must move to resource nodes to extract catalyst directly. As it gains hitpoints, it also gains the ability to spawn smaller goo piles which can be turned into units, or into another mother goo which can be moved to a different resource node. Thus the goo is able to spread out and take over the map fairly quickly. On top of being mobile unit producers, each sized blob can attack enemies, consuming them and healing them before being turned into your primary offensive units. While this can be a risky maneuver, it’s also very satisfying and gives you the real feeling of being a ravenous alien hive beast. However, when it comes to the actual units there is very little of interest. Each race has its anti infantry, anti tank and so on to varying degrees. All the races have their specialties, and some units are slightly better than others, but for the most part they don’t give the feeling most asynchronous RTS’ instill in their players. Partly this is due to the overall simplicity of the game systems. Each unit has all the standard stats, attack, defense etc, but there’s no real special abilities that truly define them. 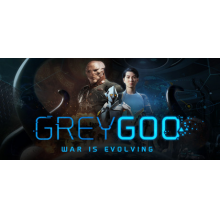 Grey Goo seems to be purposely avoiding as much micromanagement as possible, which makes it easier and at times more purely ‘fun,’ but it also robs the player of the chance to do extraordinary and interesting things. This is compounded by the way units have difficulty maneuvering around each other, making battles more about overall composition and initial positioning than hands on interaction. There are handful of units which do require more advanced maneuvering, namely the few air units and some of the goo’s cliff-walkers, but generally attack moving across the map is sufficient. Simplicity is certainly the name of the game, and this extends to the resource model. Catalyst is acquired by building refineries near certain nodes (or placing a goo on them), then sufficient harvesters are sent out to claim it. These harvesters are not individual units that can be ordered around, and are either healed or wholly replaced each time they return with a load, making economic harassment a much more awkward and altogether pointless affair. It’s not impossible by any means, but it lacks the satisfaction of annihilating workers in a calculated drop, or disabling control points with guerilla tactics. You can differentiate your strategy to an extent through the basic upgrade system, in which you have five categories, from each of which one buff can be selected per game. But these don’t add any active abilities and do little to solve my fundamental issues with the game. 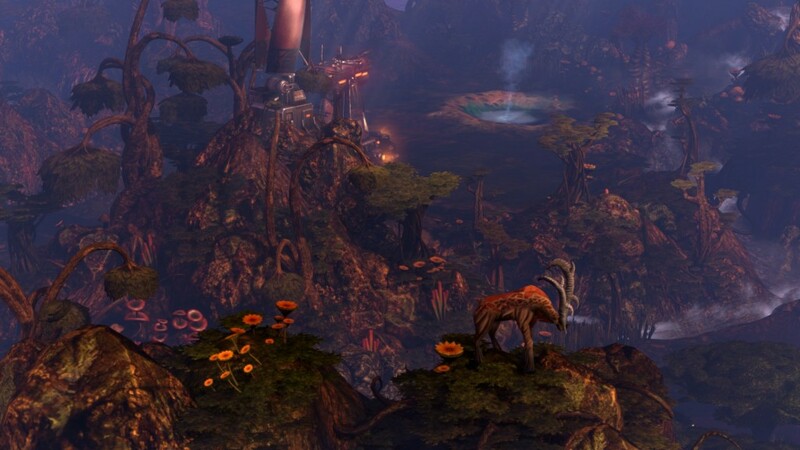 I have heard from many a place that Grey Goo is perfect for people who are not in love with RTS’ and would like to play a simple, low-stress version of one. While this is true, I’m a bit confused by the notion that this is the only sort of RTS that can be enjoyed by those with a more casual interest in the genre. Yes, Starcraft can be played intensely at any number of actions per minute, Homeworld had an more axes (meaning plural of axis, not… you know, wood chopping) than most games know what to do with and Supreme Commander almost required a second monitor to be played to the fullest. All the same, while each of these games could be played intensely and expertly, it was just as easy to pop the difficulty level down or to play against low skill opponents and just have a fun, drag out fight. I definitely can’t imagine the same for Grey Goo. 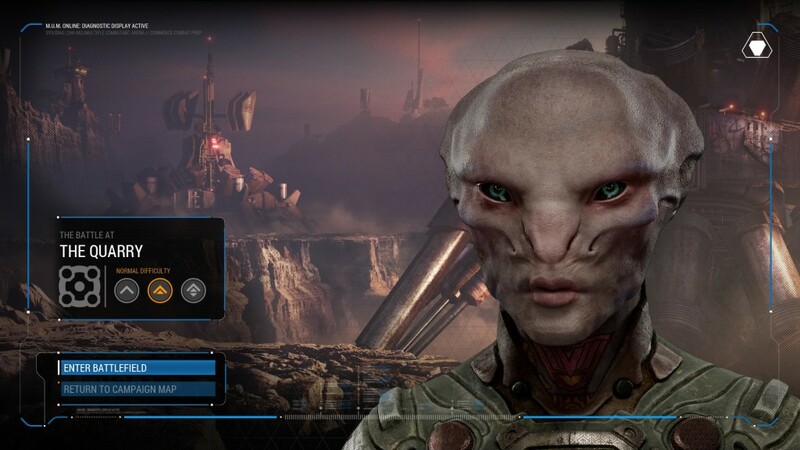 It’s certainly a purposeful design choice by the devs, and in most respects I do see Grey Goo as a success. As I’ve said, it’s fun, functional and the first major installment of its kind for some while. I just can’t imagine playing it for much more than I already have, as it leaves me unsatisfied and wishing for a return to the RTS glory days.